Offensive expectations: The biggest constant for the offense is Duke Greco, who called the plays as offensive coordinator in all eight of Jim Clements' seasons as head coach and will continue calling plays as the new head coach. 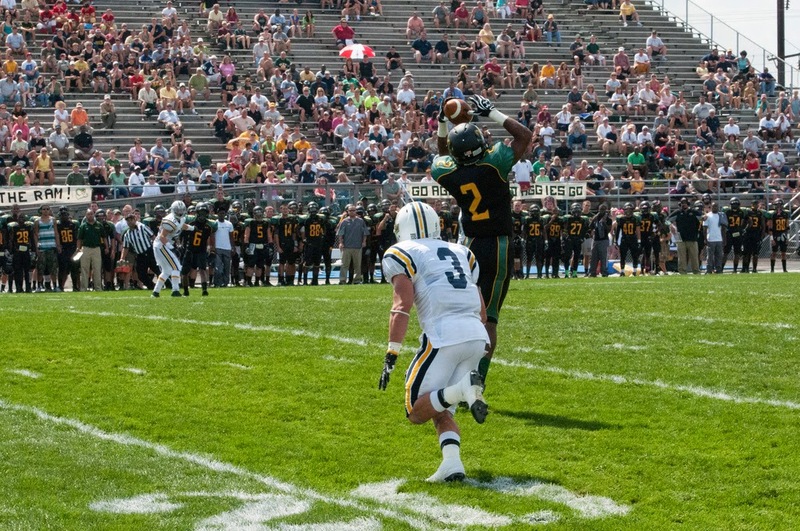 Regarding personnel, the offensive line is undergoing a rebuild-and-reshuffle for the second straight year, and unlike last year at skill positions — where all the key players were returning — the Aggies must find adequate replacements for Kyle Schuberth, DelVal's second all-time leading rusher, and Bensalem graduate Lewis Vincent, whose speed helped open the field for Rasheed Bailey and other receivers. More so than in previous years, the offense will have to stay consistent and to stay out of second-and-long and third-and-long situations, Greco said, otherwise "we can be as talented as we want, (but) it's not going to help us." Defensive expectations: With Clements' departure in March to become head coach of Division II Kutztown, the Aggies hired a new defensive coordinator: Kory David, the defensive coordinator last year at King's. Greco said David should be a good fit for the Aggies' personnel, as David also has impressed Greco "for his (defensive) scheme, his philosophy and as a person." As DelVal's defensive philosophy has evolved over time into having players who are "physical, fast and aggressive," Greco said, he expects that the defensive scheme should not change radically, although David will put his own personal stamp on the defense. For Greco and David, a defensive priority will remain how to return the defense into the MAC's top half of points allowed (25.5 average, seventh of 10 MAC teams), if not top-two, where Clements' defensive units had spent six of his previous seven seasons as head coach.